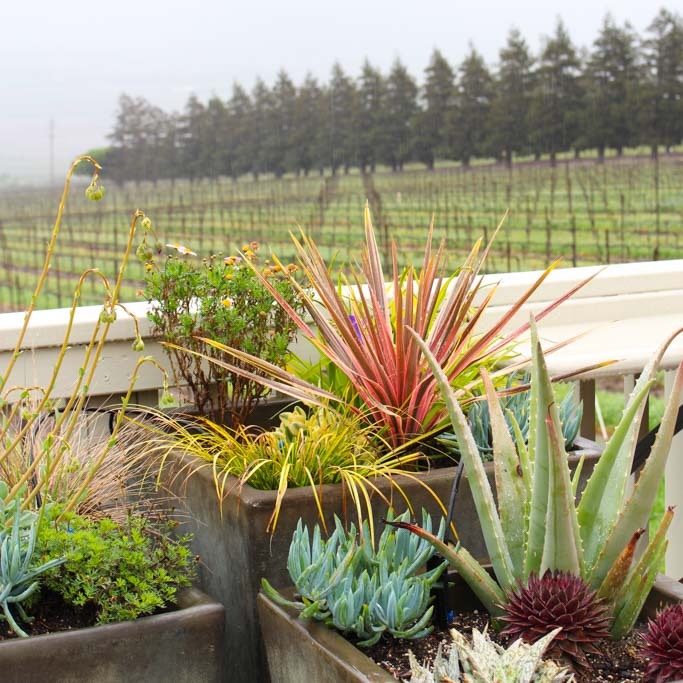 Hahn Estate Winery in Soledad, California is a family-owned vineyard specializing in Pinot Noir and Chardonnay. On the second day of our trip to Carmel, California it absolutely poured on us! We were a bit bummed because we were scheduled for an ATV tour at Hahn Estate. Renee, the Director of Estate Operations for Hahn, and Andy, Director of Viticulture, greeted us at the tasting room and said that although we’d be skipping the ATV part of the tour, there was still plenty to see. Boy was there – This was the single most informative winery visit I have ever had! Before heading out for our visit, Andy told us a bit about the vineyard. It was purchased in 1979 and is family-owned. 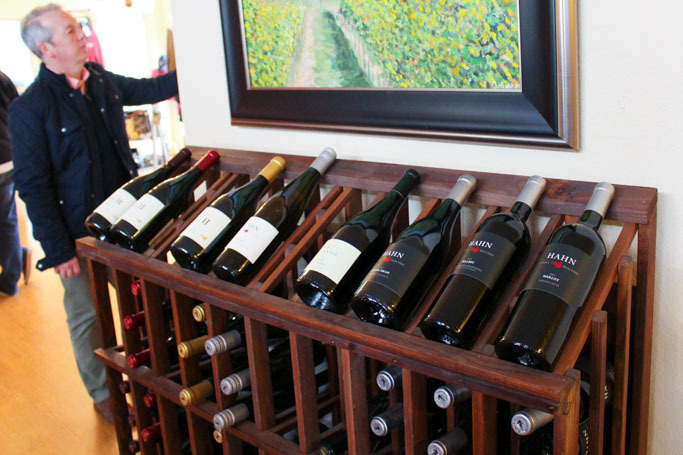 Hahn produces 400k cases of wine across their 5 lines – Hahn, Hahn SLH, Lucienne, Smith & Hook, and Winery Selections. 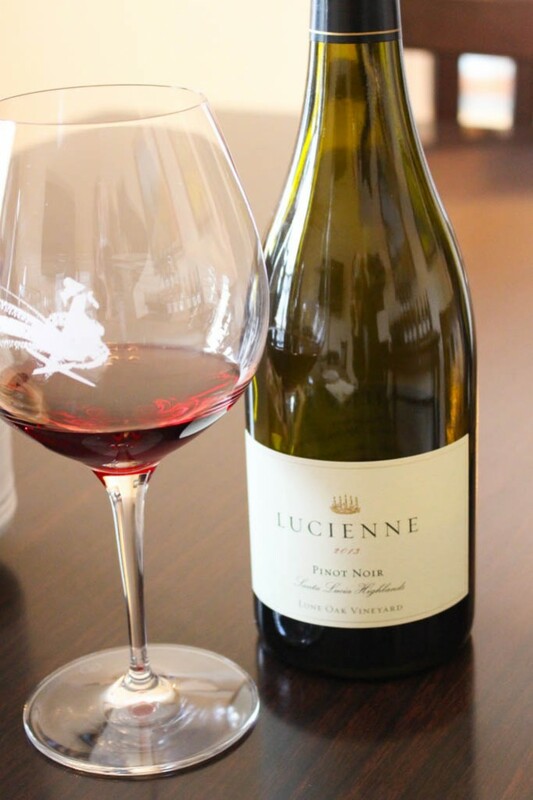 There are 20 clones of Pinot Noir growing on the property – All of which go into their Orchestra Block Pinot Noir, which is in its second year of production. 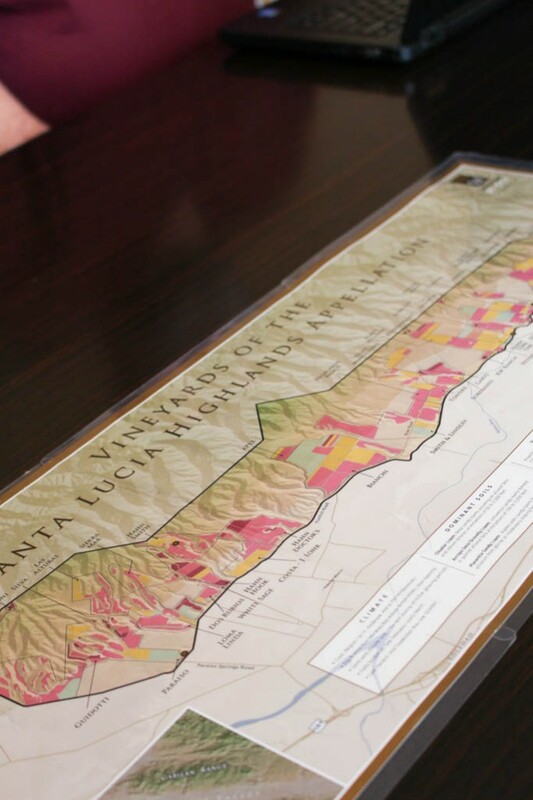 Andy explained that the winds in the area help to build up the skins of the grapes, while the plants around the vines affect the flavoring. 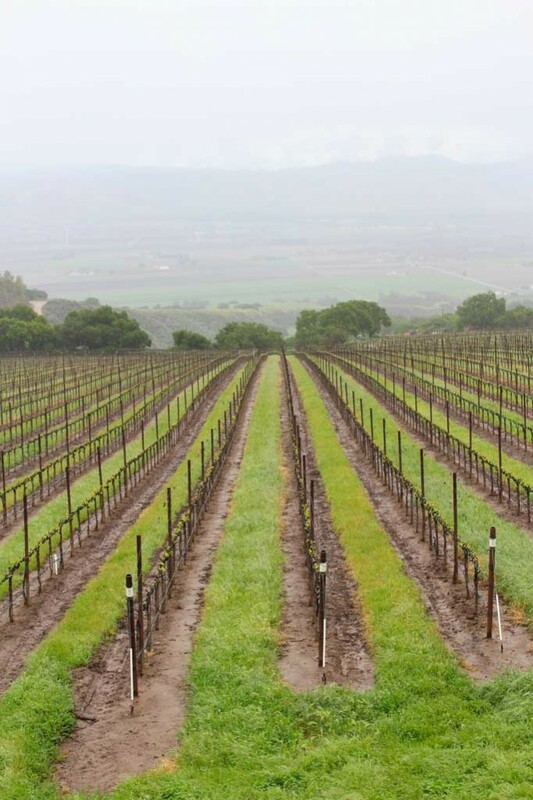 For instance, those vines planted near an almond tree tend to have an amaretto flavor – Something I particularly enjoy in my Chardonnay. Hahn has been certified sustainable since 2008 and uses falcons to patrol the vineyards in the fall, protecting it from critters. The sweeping grounds are truly a sight to be seen (even on this gloomy day). After a bit of inside information we headed to the barrel room, where the Chardonnay is housed. Renee really gave us a lesson by allowing us to taste the differences in the barrels of wine that are strictly produced by hand vs. those that use machinery to process the grapes. Even though the grapes are identical, the taste is exceptionally unique. Of course I preferred the taste found in the more expensive way of doing things, all by hand. While that Chardonnay was a bit more smooth, and feminine, the barrel which was produced with the aid of machinery had a bit more of a petrol note and didn’t seem quite as well-rounded. 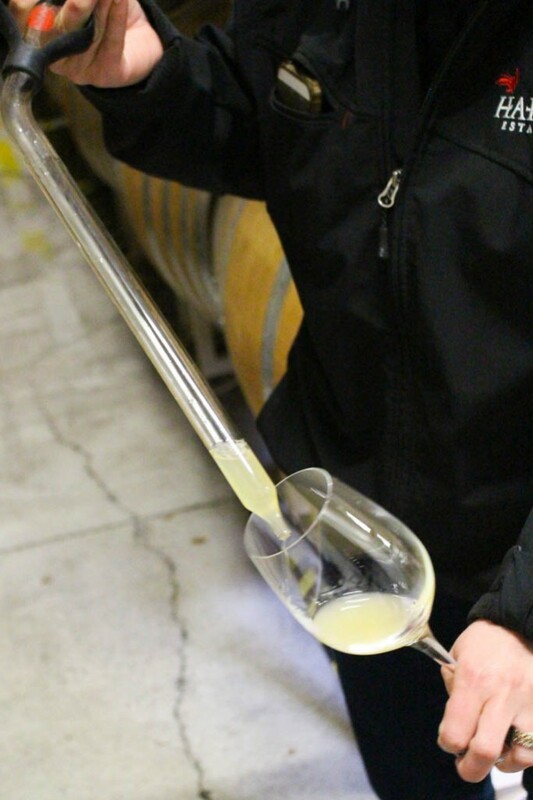 Ignore the cloudy color – That is removed before bottling, during the clarification process. It actually doesn’t affect the taste at all. Check out this unique barrel that the family had created – The bottom was swapped out for clear plexiglass, allowing you to see the wine aging process in action. Andy says that you can really see a difference from week to week. 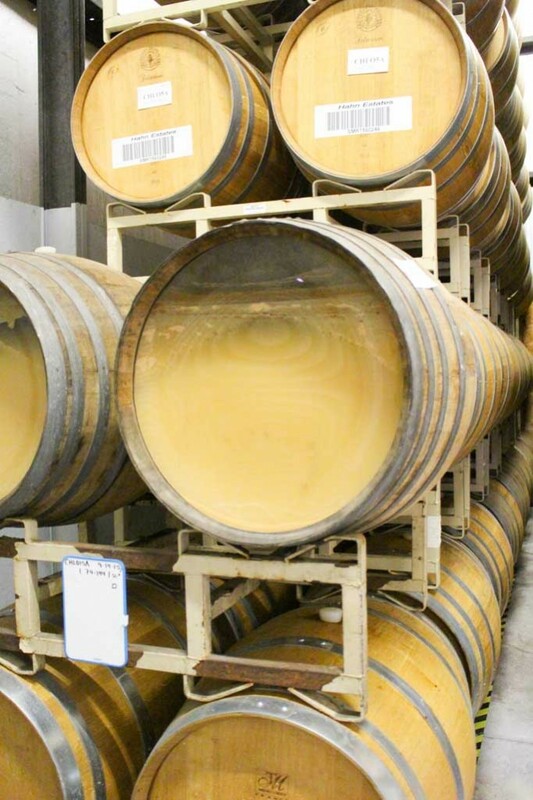 Hahn produces approximately 14,000 cases of Chardonnay each year. Their Hahn label Chardonnay is priced at just $14. What’s great buy! 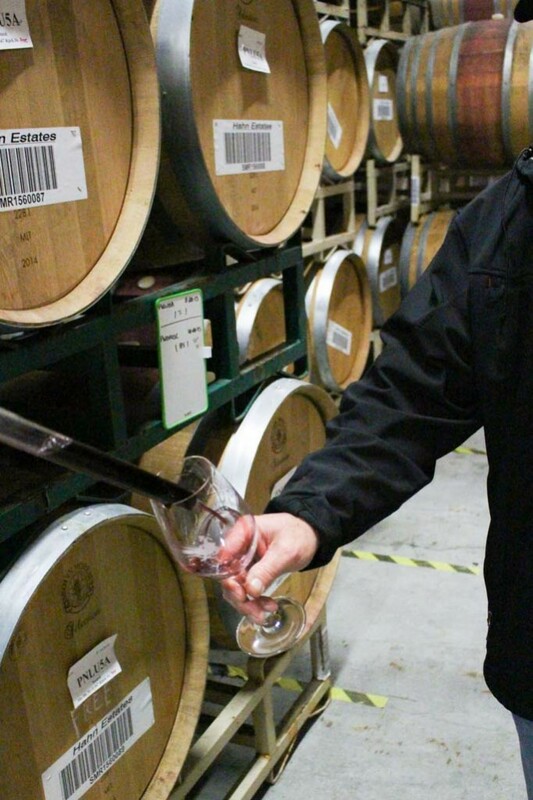 We then made our way to the Pinot Noir barrel room. Again, Renee indulged us by letting us taste samples straight from the barrel – Some hand-processed and others produced with the traditional machinery. 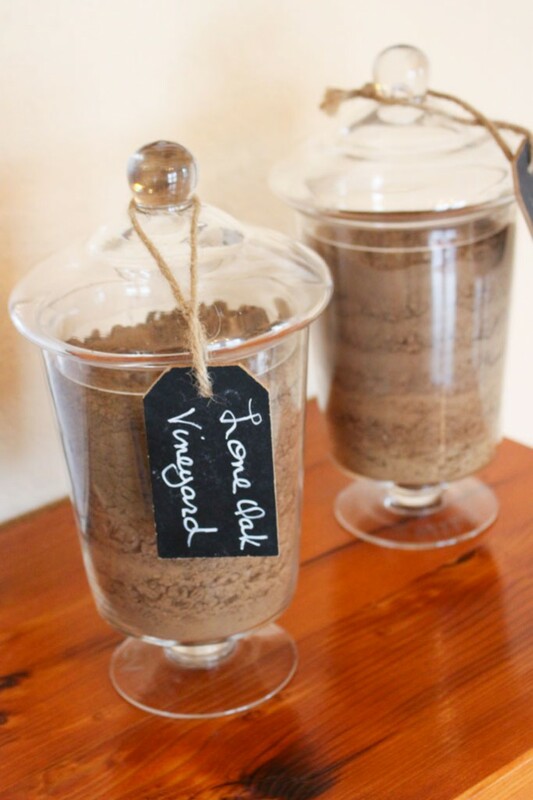 Again, there is a notable difference in those wines that are solely produced by hand – Smooth, elegant, more refined. Really though, I was swept away by each and every barrel taste. 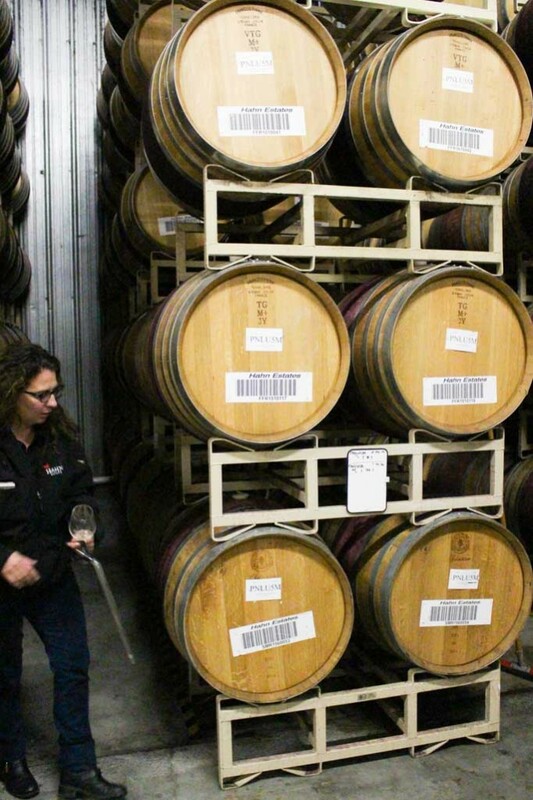 Hahn produces 20,000 cases of their Estate Pinot Noir. Their 2014 vintage garnered 88 Points from Wine Spectator and is priced at just $14 a bottle! 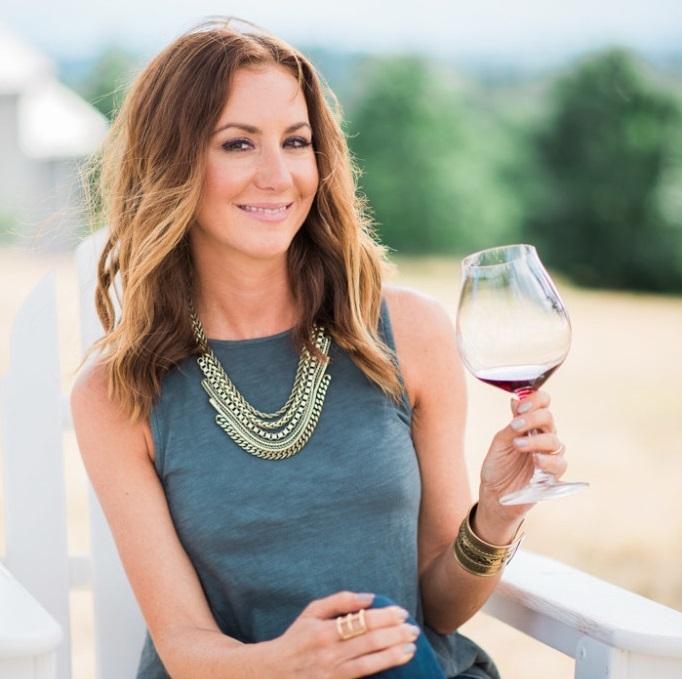 Their Hahn SLH Pinot Noir ($30), featured on the cover of the January 2016 Wine Spectator, is listed as a smart buy and called out as a personal favorite of the editors! 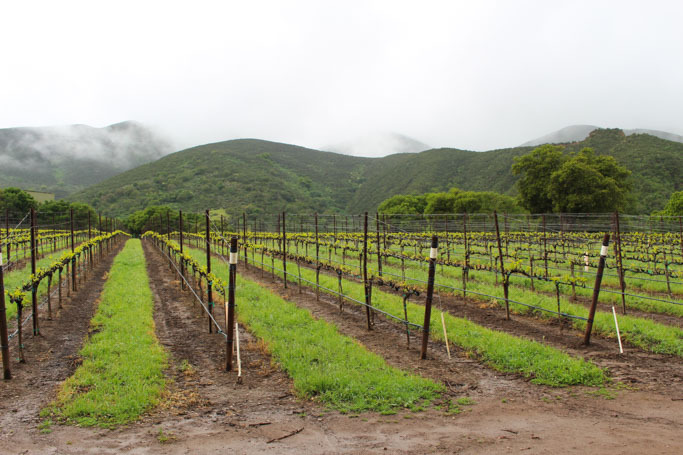 Hahn Winery is part of the River Road Wine Trail, an association of Monterey County winery tasting rooms, located primarily along the River Road / Foothill Road corridor, on the Santa Lucia Highlands bench above the Salinas Valley. They are open Mon.- Fri. 11 – 4, Sat. & Sun. 11 – 5, and located at 37700 Foothill Road, Soledad, CA, 93960. I highly recommend a tasting of their extensive line of wonderful wines. Plus, the view can’t be beat (even on this gloomy day) – It’s the best in the area! 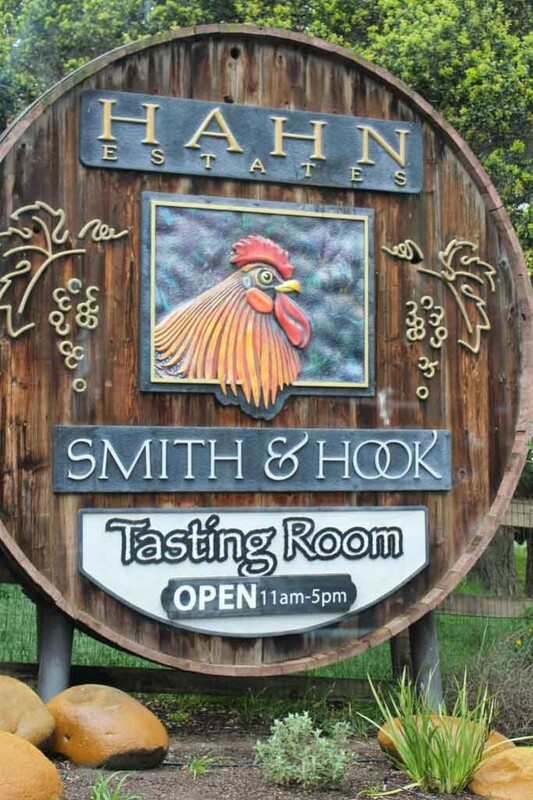 Disclosure: Our tour and tasting at Hahn Estate was complimentary. As always, all opinions are my own. Thank you to the Monterey County Convention & Visitors Bureau for the great recommendation. If you are planning a visit, be sure to check out seemonterey.com for everything you need to plan an amazing trip! What a wonderful tour! Love the plexiglass barrel they have. So smart! I do enjoy that Hahn Pinot Noir. It really is an incredible price for that wine! Isn’t that barrel the coolest?! It sure is! Absolutely amazing. I’m becoming such a fan of Wine Wednesday. It never occurred to me that the grapes on the vine could take on the flavor of the plants growing near them. Thant’s incredible. Of course! It’s crazy everything that can help to influence the final wine product! I LOVE informative wine tours! That’s fascinating how the wind affects the grapes, as do the plants around the vines. Wine is so interesting!